Hi everyone, is it just me.... or is it just a little crazy at the moment? There just doesn't seem to be any time. 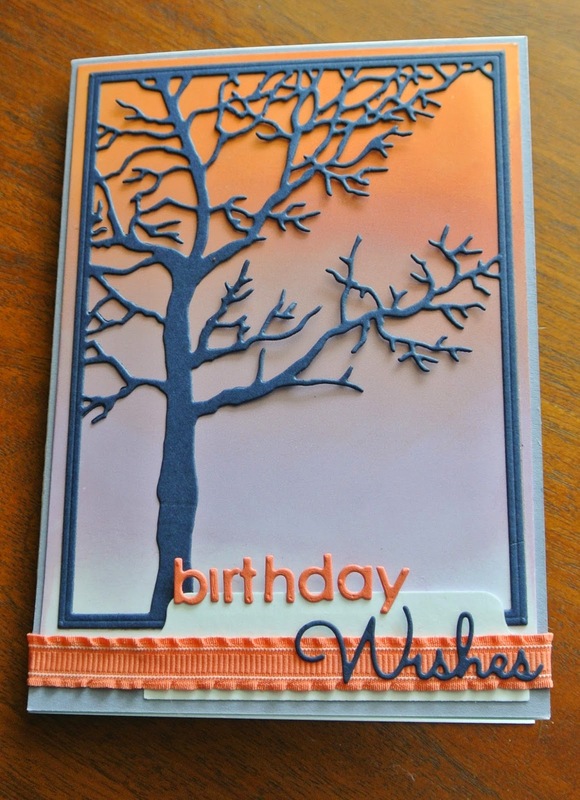 Today I would like to share with you a card I have made and I am really pleased with how simple it is yet so effective. I have created the background by sponging distress inks onto glossy card and carefully blending three colours together. A few die cuts later and a little ribbon and it's done. Drop into Bizzy Becs and have a look at all the great new dies including MFT( My favourite things).